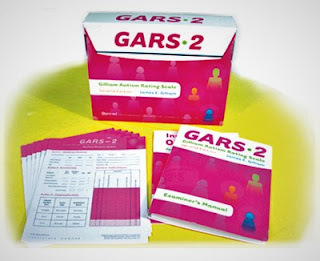 The GARS-2 is a revision of the widely used Gilliam Autism Rating Scale (GARS). It was designed to assist psychologists, teachers, parents, and clinicians in identifying and diagnosing autism in individuals aged 3 through 22 and in estimating the severity of the disorder. The GARS-2 can be individually administered in 5 to 10 minutes and consists of 42 items describing the characteristic behaviors of persons with autism. The items are grouped into three subscales based on two definitions of autism, one from the Autism Society of America and the other from the diagnostic criteria for autistic disorder published in the DSM-IV-TR: (1) Stereotyped Behaviors, (2) Communication, and (3) Social Interaction. The subscale standard scores are summed to produce an Autism Index (mean = 100, SD = 15). Higher standard scores and Autism Indices are indicative of more problematic behavior. Scoring also includes a Probability of Autism classification (Very Likely, Possibly, Unlikely). According to the test manual, the second edition reflects several positive changes such as: (a) updated, more clearly described norms; (b) rewriting of some items and the scoring guidelines to improve clarity; and (c) a section that provides specific item definitions and examples for applied behavior analysis and research projects. New to the second edition is a structured interview form for gathering diagnostically important information from the child's parents that replaces the Early Development subscale found in the original version. The GARS-2 was normed on a representative sample of 1,107 persons with autism from 48 states within the United States. Demographic characteristics of the normative sample are keyed to the 2000 U.S. Census data. Few changes were made to GARS test items in developing the GARS-2. The difference between versions exists mostly on the fourth subscale, labeled ‘Developmental Disturbance’ on the GARS and ‘Parent Interview’ on the GARS-2. Past reports of the GARS and GARS-2 have generally found low sensitivity and specificity, and thus indicate limited clinical utility. Independent studies on the first version of the instrument have indicated less than optimal psychometric properties, with sensitivity values ranging from .38 to .53. Sensitivity is the percentage of true cases correctly identified by a screen; a sensitivity value of .80 is the accepted standard. Although there may be some psychometric support for the use of the GARS-2 as a screening tool, sensitivity estimates suggest that the instrument results in a high percentage of false negative results for ASD. For example, a recent empirical study of the GARS-2 screening sensitivity found that when it was completed by special education teaching staff, the Autism Index Score would likely miss one-third of cases with ASD. Despite the support reported in the GARS-2 manual, concerns have been noted regarding its test structure, standardization sample characteristics, online recruitment, and lack of diagnostic confirmation. A study of the validity of the GARS-2 three subscales did not support the subscale structure and suggests that the clinical utility of the scales is limited by factors related to item content and test development procedures, and that the Autism Index be interpreted with caution. The Probability of Autism classification also lacks a sound empirical basis and may be subject to misinterpretation. There are also questions regarding the normative sample. Group membership was determined via caregiver report of diagnosis and/or school classification. A number of participants (27%) were recruited from the Asperger Syndrome Information and Support website, suggesting that a portion of the sample may have included individuals with other pervasive developmental disorders. Moreover, diagnosis of participants was not confirmed by the ADI-R, ADOS, or a clinical evaluation. Although the norms are not based upon age, the underrepresentation of older children and young adults also suggests that practitioners need to use caution when using the instrument with individuals from these age groups. From a more positive perspective, the content of the GARS-2 reflects a number of behavioral characteristics associated with ASD which may help guide the user in understanding the core features of autism. According to the manual, the GARS-2 should be administered by professionals who have training and experience in working with individuals with autism such as school psychologists, educational diagnosticians, and autism specialists. Practitioners who are currently using or considering using the GARS/GARS-2 for making an autism diagnosis or assessing symptom severity should exercise caution due to significant weaknesses, including low sensitivity and questions concerning standardization and norming procedures. Although the GARS-2 may have utility as a general screening or supplementary tool for ASD, it should only be used with caution and clearly not in isolation. It is not recommended for inclusion as a core autism-specific instrument in a comprehensive developmental assessment battery for ASD or for making special education eligibility decisions. The most recent edition of the GARS (GARS-3) has undergone significant changes when compared with earlier versions of the instrument. The GARS-3 retained only 16 items from the previous version while adding 42 new items to the rating scale. It was also updated to reflect changes in the DSM-5 criteria. New normative data were collected in 2010-2011 that were consistent with demographic characteristics reported in the 2010 U.S. Census. A recent review of the test’s development and standardization advises examiners to use caution when using the GARS-3 to assess individuals between 20 and 22 as well as individuals from minority groups. Although the GARS-3 appears to represent some improvements over its predecessor, there is a need for independent empirical evaluation of the new edition’s diagnostic validity and utility with population-based and clinically-referred samples. Garro, A. (2006). 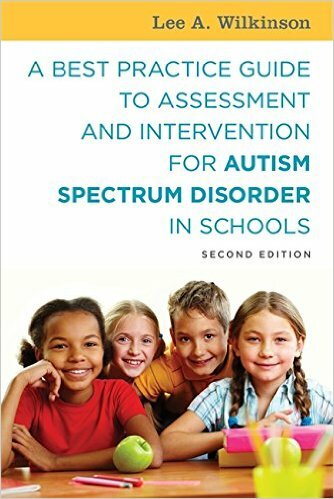 Review of the Gilliam Autism Rating Scale-Second Edition. Seventeenth mental measurements yearbook with Tests in Print, Buros Institute of Mental Measurement. Lincoln: University of Nebraska Press. Gilliam, J. ( 2006 ). GARS-2: Gilliam Autism Rating Scale- Second Edition. Austin, TX : PRO-ED . Gilliam, J. E. (2014). Gilliam Autism Rating Scale–Third Edition (GARS-3). Austin, TX: Pro-Ed. Hampton, J., & Strand, P. (2015). A review of level 2 parent-report instruments used to screen children aged 1.5-5 for autism: A meta-analytic update. Journal of Autism and Developmental Disorders, 45(3). Advance online publication. doi: 10.1007/s10803-015-2419-4. Karren, B. C. (2017). Test Review. Gilliam, J. E. (2014). Gilliam Autism Rating Scale–Third Edition (GARS-3). Austin, TX: Pro-Ed. Journal of Psychoeducational Assessment, Vol. 35(3) 342–346. Lecavalier L. (2005). An evaluation of the Gilliam Autism Rating Scale. Journal of Autism and Developmental Disorders, 35, 795-805. Mazefsky, C., & Oswald, D. (2006). The discriminative ability and diagnostic utility of the ADOS-G, ADI-R, and GARS for children in a clinical setting. Autism, 10(6), 533–549. Wilkinson, L. A. (2016). 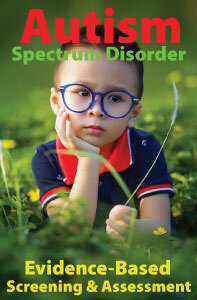 A best practice guide to assessment and intervention for autism spectrum disorder in schools. Philadelphia & London: Jessica Kingsley Publishers.